With the 4th of July fast approaching, a number of ads for illegal fireworks are appearing on some of the less than reputable online marketplaces. 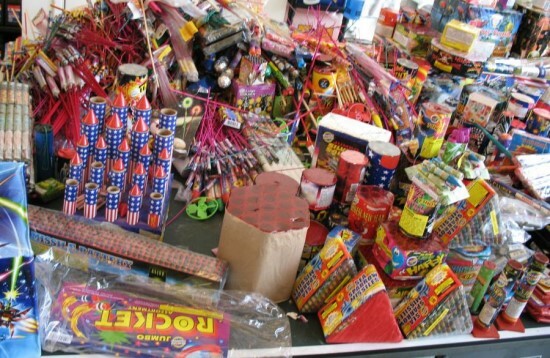 While many states allow the purchase of consumer fireworks many do not. Even then there are many local laws regarding the use of fireworks. For example, California has varying laws regarding fireworks and in Sacramento County, California, fireworks are banned altogether and with good reason. In 2014, a massive fire that caused hundreds of residents to be evacuated was caused by the illegal use of fireworks. In the hands of professionals fireworks can be a breathtaking experience, in careless hands they can be quite dangerous. If you insist on purchasing and using fireworks this year please consult your local laws regarding their use and please try to use them safely. Also, if you are in the market for purchasing fireworks please purchase them from an authorized dealer because would you really trust the safety of fireworks when they’re purchased through a site that generally disregards the safety of its users? I know I wouldn’t.